I ask your attention for this great initiative I have recently come across. 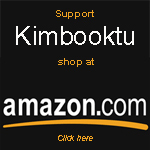 You can give books to children who really need them by just clicking a button. Every click is registered and sponsors pay for your click. This money is used to buy books for the children. You can find out more via this website. If you have a website, you can help too. You can put a (small) banner on your website. This redirects your visitors to the website, where they only have to click the orange button. Every time someone clicks on it, money will be paid by sponsors. Click here to download a banner. That’s awesome, thanks for posting it. I’m gonna check it out right now! I’ll be adding it to my blog. Cool! You are always able to find some great book resources! Keep up the good work! Great idea. I think all childeren must get the chance to escape into a book. It saved my childhood. When I clicked the link, it had a http to many and I had to correct that to be able to open it. Don’t know what went wrong, but just wanted to let you know.